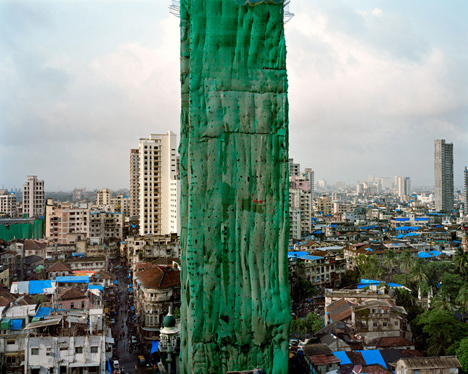 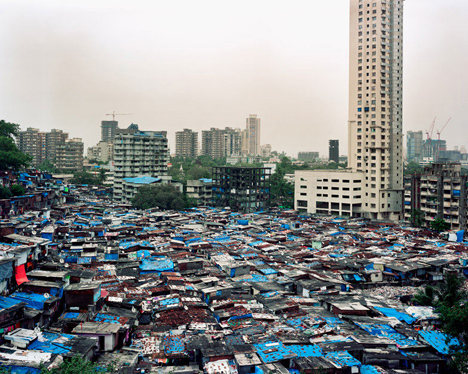 In some cities the slums run vertical while the rich build mansions on the precious ground, but in Mumbai, India, high-rise housing is considered premium real estate while the poor cobble together shelters below. 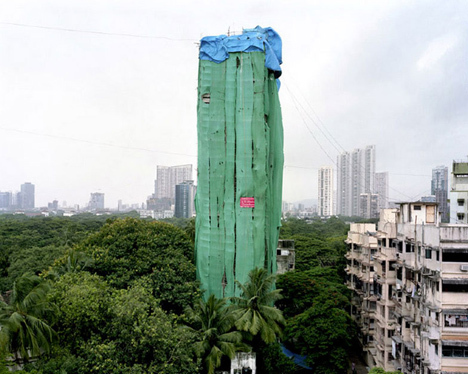 Alicja Dobrucka is the Polish photographer behind this photo series titled Life on a New High. 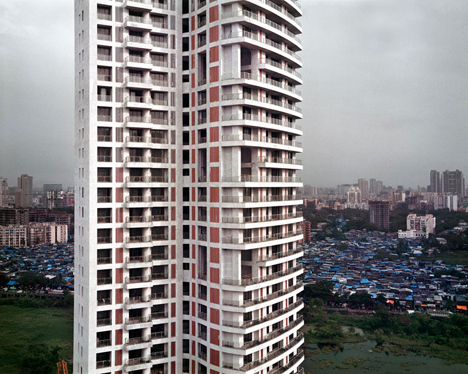 Many of the photos were shot from a sufficiently high elevation to capture tall buildings on the backdrop of the surrounding urban landscape. 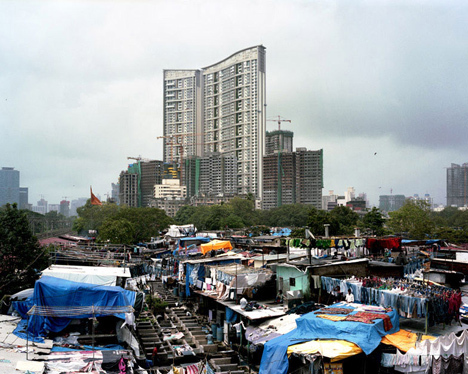 The residential towers stand in stark contrast to the sprawling ad hoc homes below, topped with a kind of (unfortunately) iconic patchwork of blue tarps. 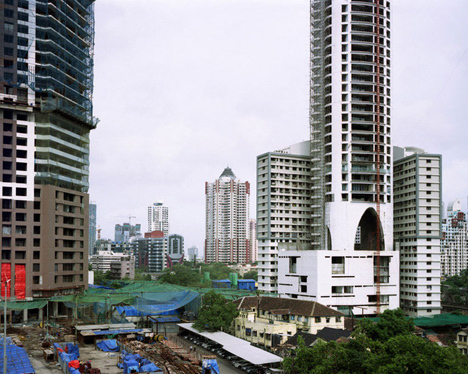 Thousands of mid-rise-and-higher structures have been or are being built in Mumbai, often without regard for any overarching city plan. 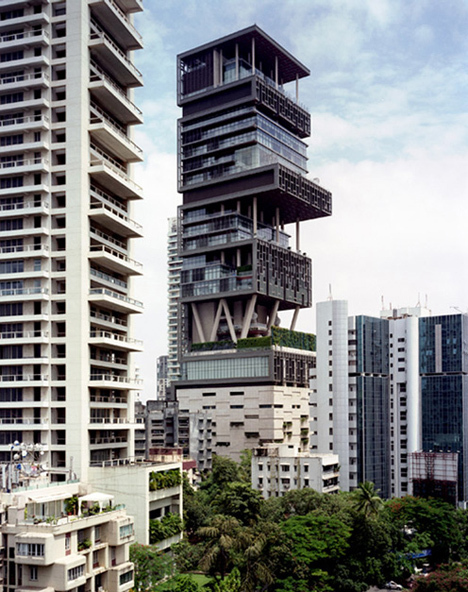 Some (like the famous one above) house single families on multiple floors, often with space for dozens of servants (in this case, reportedly, as many as 200).